Editors found at least one glitch in each of the services, including two that could lead to a missed tax break. Do-it-yourself online tax preparation services promise expert advice and “guarantee” to maximize your refund. But can they live up to these claims? Consumer Reports reviewed H&R Block Deluxe, TaxAct Online Deluxe+, TaxSlayer Premium and TurboTax Deluxe, and found at least one glitch in each of the services, including two that could lead to a missed tax break, reducing the allowed refund from the IRS. “These problems included outdated information, incomplete advice, and program designs that — in a couple of instances — could affect a taxpayer’s bottom line,” writes Tobie Stanger, a Consumer Reports senior editor. Stanger “test drove” the four popular tax-prep services (their online versions and mobile apps) using her own personal tax information. She also looked through the tax-information databases and posed questions to each service’s tax experts, as any other customers might do. “The new tax law [Tax Cuts and Jobs Act of 2017] was reflected in all of the products, but in a few instances, they were not fully updated, or they were not designed quite as well as they could have been, which could cause some mistakes in some situations,” Stanger told NBC News BETTER. Stanger found that some of the programs were “not very intuitive” and did not always lead her to the correct answer. “In a couple of cases, that meant that a consumer might miss a tax break, and in one instance, we found they might get a tax break that maybe they weren't really eligible to get,” she said. Because of the problems encountered, Consumer Reports decided not to endorse any of the products tested without some reservation. NBC News BETTER contacted H&R Block, TaxAct, TaxSlayer and TurboTax. All four companies said their products enable taxpayers to prepare an accurate tax return on their own. “Creating an accurate and easy-to-use product for our customers is our top priority,” said Molly Richardson, director of strategic communications for TaxSlayer. In her email, Richardson went on to say that the problems uncovered by Consumer Reports, including outdated content, were corrected within 24 hours of being contacted by Stanger. Greene-Lewis also disputed Consumer Reports' suggestion that people with complicated returns should see a tax pro. Customers can connect via one-way video to the company’s tax experts, credentialed CPAs or Enrolled Agents, who can answer questions that deal with complicated issues, such as rental property, life changes and side gigs, she wrote. H&R Block did not respond directly to Consumer Reports' assertion that an H&R Block rep contacted through chat gave their reporter inaccurate information. In its written response to NBC News BETTER, the company’s public relations department highlighted the company’s various online products that offer various options for personal advice and assistance. “What’s important is that consumers get the care and expertise they need during tax season,” the emailed statement said. 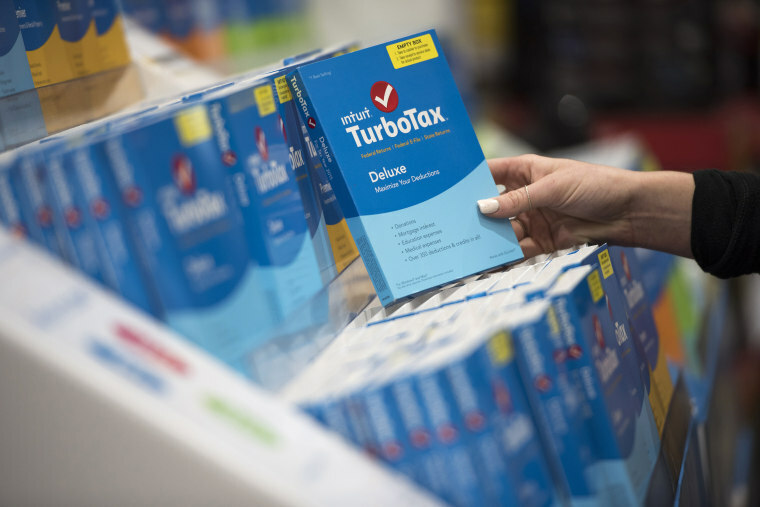 DIY tax-prep software is a popular option for many taxpayers. With that in mind, Consumer Reports offers these observations about the four online programs it tested. TaxAct Online Deluxe+ is relatively inexpensive. Once you begin using it, the price won’t change. “It may be suitable if you know what you’re doing. But you may not get through to a tax pro when you need help, from our experience." A full review with more on what Consumer Reports found is posted on ConsumerReports.org. If you are uncertain about a tax question or simply want to double-check an answer you get, check the IRS website. The Interactive Tax Assistant page has answers to dozens of questions. If this is the first time using this service, use the program’s import function whenever possible to transfer data from W-2s and other forms, as well as last year’s tax return. This will save you time and help ensure accuracy. You can’t rush it. Take the time to read everything carefully, click on the various definitions that are offered, ask questions if you’re not sure of something and double-check that the information you entered is accurate.